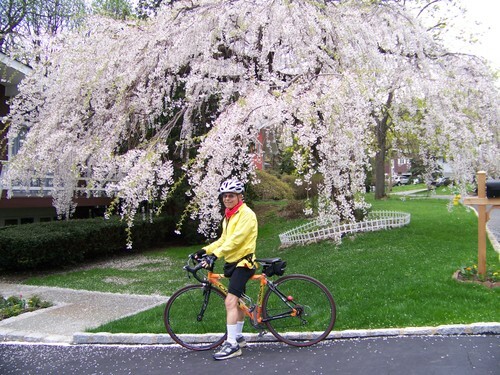 This is a photo of Merrill Cassell, a cyclist, father and former director at UNICEF. And this is a photo of the bus that killed him last friday in Westchester County, New York. You’ve probably already guessed that he was riding his bike at the time of the incident. Reports seem to indicate that he was brushed by the bus and ended up being run over by it (though the reports are still a tad unclear–the newspapers without any witnesses to back this up–are saying he “collided” with the side of a bus while traveling parallel to it. I’m not sure how that’s possible.) The bus driver is already back on the route.